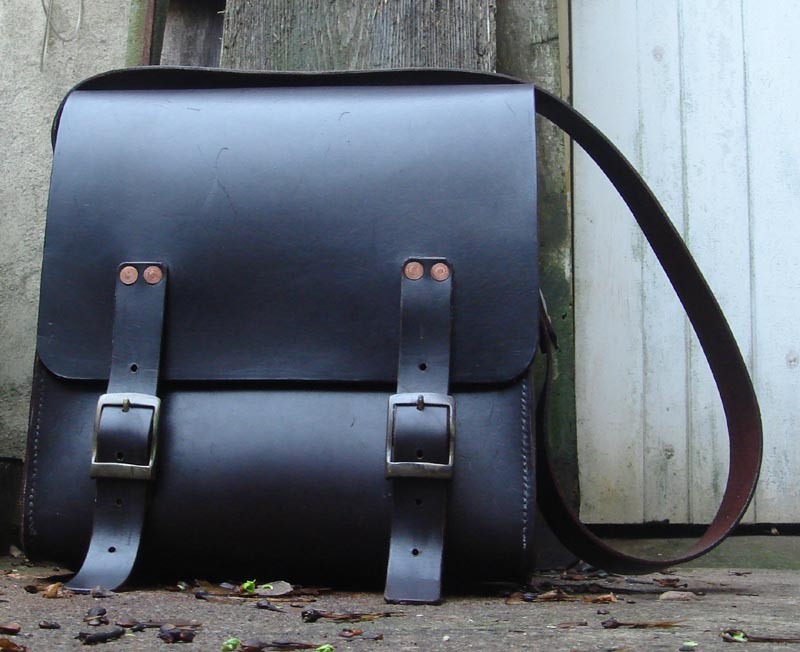 I developed the urge - who knows where from - to have a big leather satchel. 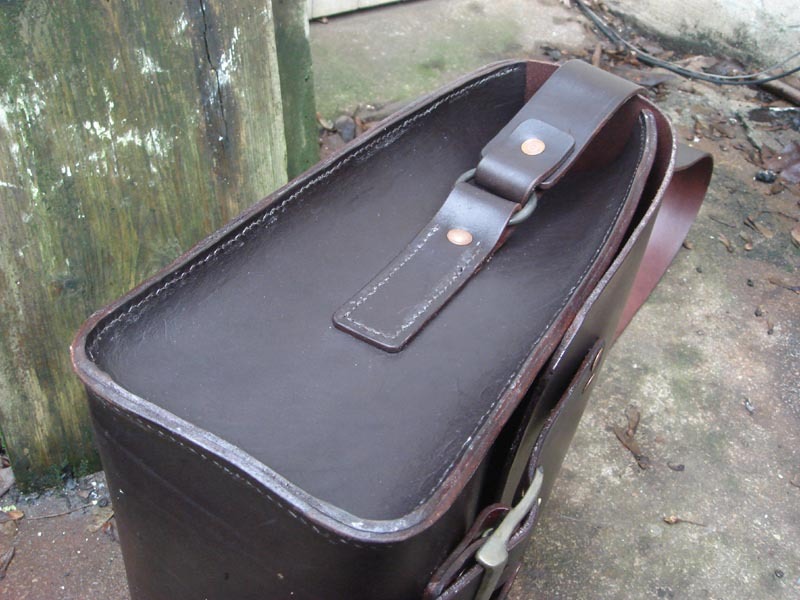 This is made from a 4mm shoulder, from Lyon Leathers (no web site, but very helpful on the phone). 38 quid plus carriage, and I used two-thirds of it. But I needed the full width of the skin to get the parts out for this pattern. The buckles were 1 1/2" shiny brass ones. I blowtorched them, then suspended them in ammonia fumes for patination. 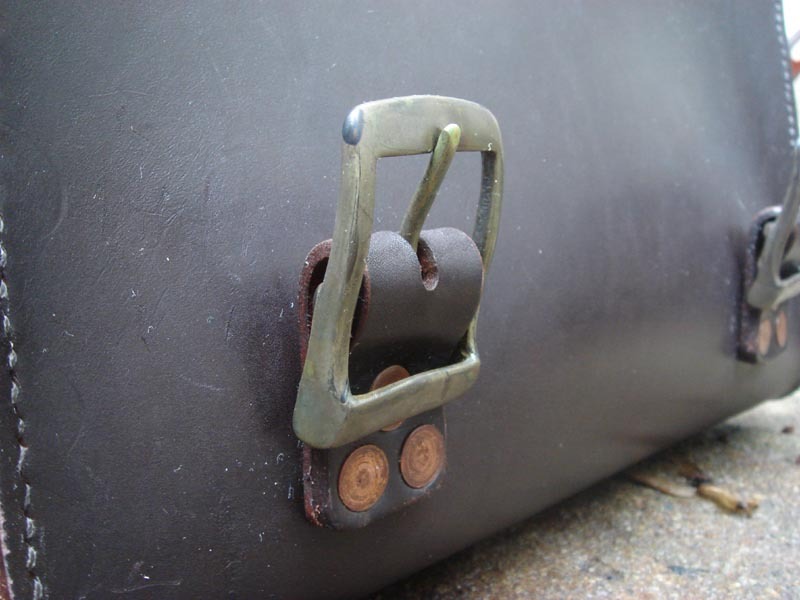 The rivets are 6-gauge saddler's copper rivets, from Le Provo. Again, I blowtorched them to make them look a bit less new. I found I had to wax the shanks to stop them collpasing as the washer was driven down. 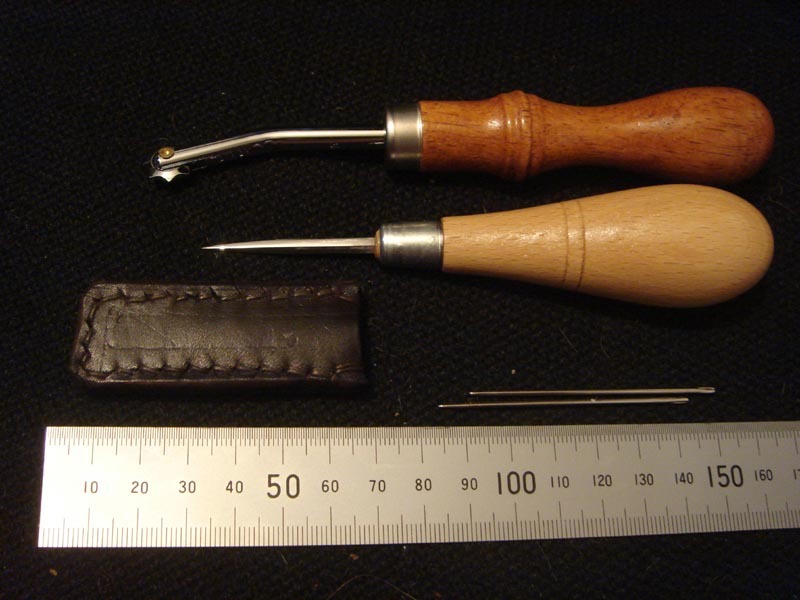 And here are the tools - a 5-stitch-to-the-inch pricking wheel, a 2 1/4" awl, and saddler's needles. Also from Le Provo. 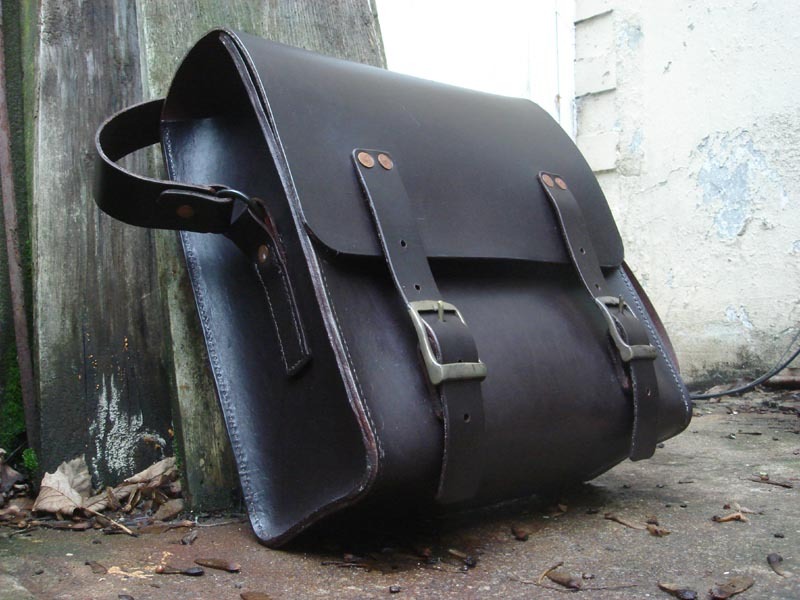 The edges were all chamfered and burnished, and dyed with a mid-brown spirit dye. Starting with a through-dyed skin would save a bit of trouble next time. The whole thing weighs two and a half kilos. I'm sure it will be rugged enough for my desk-bound lifestyle.